Ramon is a journalist, technology evangelist, speaker, editor of Smallbiztechnology.com and author of “Technology Solutions for Growing Businesses” (Amacom) and most recently “Technology Resources for Growing Businesses“. Ramon has written thousands of technology articles and news items for Smallbiztechnology.com and other media including: Open Forum, Inc. Magazine, New York Enterprise Report, Black Enterprise Magazine, CNet, Var Business, TechTarget, Entrepreneur.com, Small Business Resources and others. He has also written for technology vendors including Microsoft, FileMaker, and Everest. 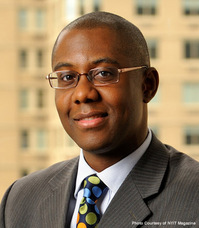 He is often quoted in the media, including the New York Times, San Francisco Chronicle, Entrepreneur Magazine, Inc. Magazine, WCBS Radio, Crains New York, National Federal of Independent Business, Small Business Advocate Radio Show, Wells Fargo Small Business Roundup, Tech Talk with Craig Peterson and Smart Money.